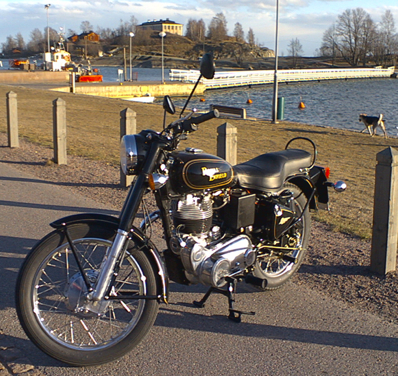 This week finally things changed, and I bought a brand new Indian-built Royal Enfield Bullet. I’ve been drooling after this simple and beautiful bike for years, but have been hesitant. 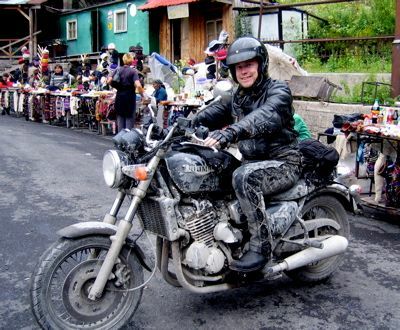 Finally last summer’s Death Monkey rally with the 50cc mopeds convinced me that motorcycle adventures can be enjoyable also on a less powerful bike. The durability of the bike remains to be seen. 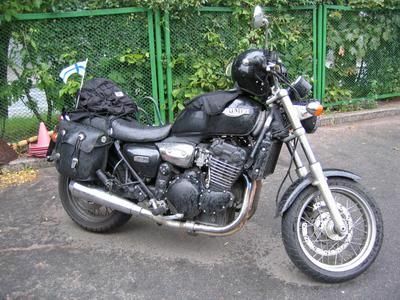 Based on various trip reports, it seems the bike breaks often but is easy to fix, which should suit my traveling style and locations quite well. Update: For those wondering about the fate of my trusty Triumph, it is now being fixed and will be ridden by Juha. 09 May 2005. 1 minute read.